It was very exciting when the announcement of the Air Show in Chennai comes. Was planning to attend this show, the second one after 4 years. But to destroy my plan the arrangement news in papers said the vehicles must be stopped near Ayappan temple that was 4 or 5km away from Marina beach, and people have to walk from there. Last time they allowed vehicles to park in Marina beach, so we got a good sight of the daring show, between over half million people. That was a forgettable experience seeing different scenes of families sitting around, some having foods and kids with binocular and shouting, enjoying by seeing the horrification of the flights adventure. Even though I can’t tell that I missed the show. I must be thanking my uncle for taking me near to the Adyar broken bridge to watch the show. Some days back only I saw some beautiful pics of the broken bridge and the evening sunsets in the backwater, but the chance got me soon. 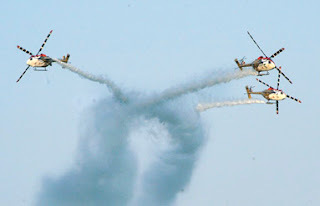 One of the top10 Air shows team in the world the Suriyakeran presented the daring show that was awesome. Drawing our Indian flag on the blue sky with releasing colorful smokes, teamed with nine flights creating the rising sun, the lovely heart symbol and the small helicopters where the attractive ones that brought a horrification daring. This year it gives little disappoint. The time and the flights involvement were decrease; I was expecting new more modern flights. From our place the parachutes were looked like small birds, these are the movements that we can see them alive. I have a wish to see the broken bridge place; it was a nice place to see little birds were flying with groups. Must give a look to this place again with camera. We shared our sense through tears. You’re a real angel of the striving land. A meaning for your lost loved ones. "Pls share her Elam experience here"
Its few months back their were groups supporting Shilpa for her Big Brothers show when an actress bullying and alleged racism on her. Now their were some protest and burning photo against her and Hollywood actor Richard Gree. The matter was just a small and also very sweet and good humour said by Shilpa, but the place and the way they kissed makes headlines (Click here). Some people feel that showing affection on public is wrong to our customs. What they done is not, how they done. May be he expressing his affection on her by hugging tightly and kissing? I feel if this was done in a decent way without disturbing others views, no one would take it series. Richard who belongs to the western culture, kissing in public was normal; we can’t blame him for this. There are lots of long kissing scenes in our films, why we dint protest for them? Its not against our social custom? and films with giving important to the obscenity are been releasing are not against? If u could accept all these, why not in practically before us. Even the shilpa makes statement its just an entertainment. Just wrote what i thought. "South Korean student shoot blindly to death of 32 persons including a professor form Tamil Nadu, in the campus of Virginia technical university in America." This clearly shows that our lives are not secure, whatever could hold at any time. Being himself a student how could be he lost the mind and killed the priceless lives of students. It’s not new or first time; there are incidents of student open fire in classrooms, even in schools. Not all get the chance to do studied in developed nations. Parents send their children to foreign land for their future life would be brighter and welfare. And too the student must be intelligent and be love in studies could only have these opportunities. With strength of above 26,000 students in the campus, how should be the management concentrate on the security? This didn’t seems like the killer’s mind changed to violence suddenly, he must be in anger for long times till he brought the guns. This is the biggest cruel that sudden lose of life. When it comes to some plans in our life and if it stops sudden, we have another chance, but when our life stops there is no another chance. Those lives are not only loss for the parents; it’s lost for our world. Nothing to equalize with the life, once it goes. I pray for the loved ones to get strength to accept the lose of there dearest. I was thinking to give a try to some templates. Even I dint’s satisfy, but I like this template for simple and neat (I think) looking. This one has wide writing space that I expected for long time. If it comes June its my two year end’s in blogging, now only I had time as well knowing about how to change templates and edit the links. Being thinking of something, I feeling so tired and sad to write or to do something. Lazily going through some blog sides and putting comments. Hope to be active some other time here soon in this week or next. 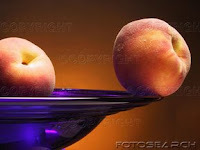 If I feel good, I will be continuing my visit to ur blogs. Tamilars pioneer’s Kumari kandam people, celebrated March 21st as Tamil New Year. On that day only, sun comes to middle of the sky. But after the south madurai (known as Kumari Kandam the Lemuria) was destroyed in sea rage and the south madurai have the Kapatapuram as its capital in north and in that tract the day the sun comes to the middle of the sky was been on April 14. 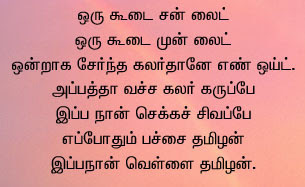 From that day April 14, has been celebrated as Tamil New year. Even though the New Year was generally celebrated on January 1st, by the states wise people celebrate the new year on different dates. By the Indian culture, miscellaneous states people celebrate the new year by their own cultural and customary. But all those are not constitute on the same day. Not only through the state wise, several countries in global celebrate the new year on different days. Like Tamilans celebrate their Tamil new year in April, there is another state shares the new year on the same day is our neighbor state Kerala. They call their new year as Vishu that was celebrated in April. On this day malayali people have a formality to visit the temples early morning and looking at almanac. Like seeing this they called it as Vishukkani. On this day People were a new dress known as Kodivasthiram and enjoy bursting crackers and having feast with relatives. In evenings they involve in Visuvela a newyear celebration. The Tamil talking people every where celebrate this day by going to Temples, churches and mosque to pray this year should be a welfare to all. I still remember those days going to the Adyar Ganesh temple on Tamil new year day, standing in the long line to get blessing from god, braking coconut to god, after sitting on the steps and having prasatham (the food gives my devotee), we reach home. Nowadays the New Year starts with special programs in TV. 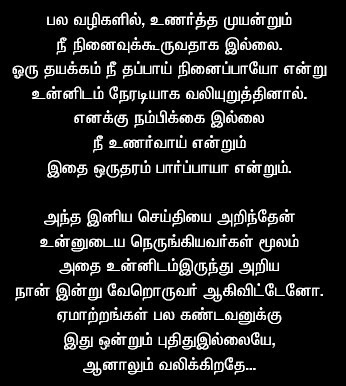 For non-Tamil dear, read the English translate of this post below. 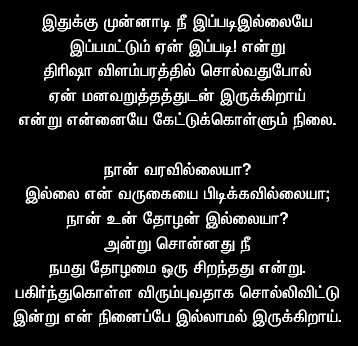 Like trisha telling in ad. I am not your friend? I become a differ person? 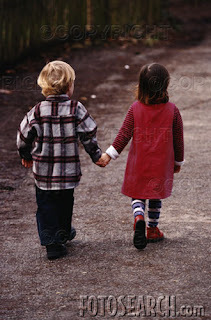 Summer holidays are very expected times that too in our school and collage days. For me holiday is as usual like others its grannies house. My grandpa house is just 2km from my house, in my childhood days I go there in weekends and come, but on holiday times only I could stay their and I enjoy with my sweet aunty. I used to roaming behind my aunty wherever she goes, we both go to her friend’s house, beach, and cinemas... Bro and me would like to fight with her with pillows and some times even with broomsticks hehe… Playing with the tube water, spraying on each other, bathing in the water tank at grandpa bull shed are the days that never comes again. After aunty was married our visit to grandpa house has reduced, but it’s really fun if the grannies houses have a terrace. We usually spend our times in the terrace by leaving kits. In this my bro fly kits well, we also used to put maanja (no English meaning) for the thread, not like using glass piece or rust, with the Kolamavu (the powder used to draw kolam) and color calcium power that used for whitewashing house. Visiting grandpa’s village is another fun, the green fields, playing in vayakkal (canal) and bathing in pump set is a wonderful enjoyment. In our village visit there was this interesting sight kattukku porathu (going to forest), to pick cashew nuts. Going there is very thrill as the forest was under government, its risk to go inside, but we go with our uncle to pick cashew fruits and nuts; we kids collect the nuts that was spills and bring it to field. Then we burst the nuts in fire and my uncles distribute our shares. After eating nungu (Palmyra fruit) we create this adventure vehicle called nungu vandi (Palmyra vehicle), I love to drive this vehicle. Taking two nungu and connect with a bough and another stick to push it is called two-wheeler and single wheeler is taking a bending stick and connecting with it. To add more fun, we take the dry plam leaf and stick it with big thorn and drive in the village streets, it gives this tap tap tap sound. In one of my holiday to my relative village, my cousin and me were walking inside the Savukku grove (the trees that use for burn fire) that we always do to reach the lake. That day in the middle of the grove we were shocked to see this cow was died, and being alone we screamed in the fear, and my cousin run from that place quickly, as I was running slowly I couldn’t see him near. I was crying in fear and confuse which way to go and the thoughts of the ghost rumors were threatening me and with a different sound from the grove was more shivering with me and only I could reach the house after roaming sometimes inside the grove. After this I have little fear on the groves. The most excite expectation was to visit my small grandma house near Chengalpattu. They live in a calmness place with little house and hills surrounding, it’s the place for us to enjoy well with my cousin aunty (she is a year elder than me) and uncle. We spend much time to story taking (kadhai peasa) and playing dice, going to their garden. Sitting behind the cycle with uncle and rounding all places is our main work, and escaping from my bro who cries to come with us. Going to Thirukkalukundram and visiting temples, going around the hill on full moon days is what I like, esp. to eat sundal, pongal that was given by houses around the hill. My first long time travel for the holidays and very enjoyable one was to Ooty. That was a big story till we start and end our trip. We had this big travel in the small Maruti car with 5 adults and 3 children (that time i was 11 years old), including the bags. Climbing the hill was so pleasant the chill wind experience is awesome. Rolling in the green grass at botanical garden, being with my little cousin the trip was enjoyable. Driving on the Ooty-Mysore road was a jungle safari; near mudumalai sanctuary we find dozens of elephants, monkeys, dears... The cool breeze, in the calmness road we making noise esp. shouting Veerappa ennga irukka (calling the sandalwood smuggler veerappa, where are u), that was the times veerappan were involved in kidnapping, that was funniest :D Going to the great Mysore Palace, beautiful and the tired waking on Krishnarajasagar Dam to watch dancing water. 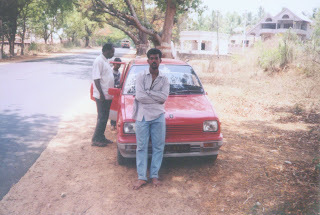 In that trip the more adventures and fearful place was this Hogenakkal. Traveling in the Parisal (Coracle) in the 60-foot deep water, the bathing in the falls and the canal, hot fish fry on the banks are superb. My first time holidaying in kodaikanal (my most favorite hill station) was very stressful, even thought with some kind hearts I managed to enjoy with pain. The place we stayed was like an old bungalow, but mornings were very different, with rose flowers blooming around our house. Last year we were with our whole family to kodai, with the help of wheel chair I could go everywhere, the mist filled sight in Coaker walk, drizzle rain allover are awesome season. The road leads to kodai to thekkady was great sense, the both sides are sky raised hills and green fields, different language. The boat ride in Thekkady was shivering joy. Its 10 years since this summer holidays we visit Ooty, very happy to write the memories again here. 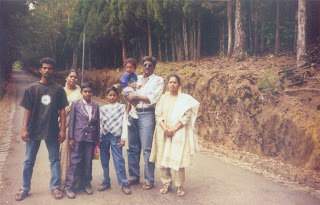 First pic was from Ooty, with my family, the boy in violet coat is me:) the 2nd one was the car we travel to ooty. Thanks for giving time to my big post! I don’t know about others, but it’s a dream come true for me when the announcement comes that Rajinikanth, Shankar, A.R.Rahman and the AVM that was said to be the gateway for Tamil film industry were Joining for Shivaji. Now the days of the film to be release are near, here the much-waited audio of Shivaji has released on April 2nd. Shanker who is a great filmmaker always induce us for more expectation, esp. his types of songs that always a special to our eyes and ears. When it comes to ally with AR Rahman, the team rocks always, now the waves have strike powerful. It was always enjoyable to listen new albums, that too when it was Rajini+Rahman nothing to tell the speaker throbs to the beats. This time I feel, the songs have comes different, with more westerns style and little appearance of Bollywood songs. The style style… song is clear one for appreciating Superstar’s style. The first big-time rap singer of India Blaaze who has gone through every corner by his Loosu Penna from Vallavan was joined with Chillnu Tanvi whose voice was a sauce to this song. Couldn’t know how the song would be picturesque. Sure it would be very different a rap for superstar. Is there a film without opening song for superstar? In the same unchanged voice from My name is Billa to Autokaran autokaran to now Balelakka… the SPB is here for us to satisfy with his intro for Rajini, this time in a fast track and Na. Muthukumar to praise the Superstar and recalled the old happiness that was lost now through his lyrics. This song is sure being a hit of this year from kid’s side. Rahman’s Action tops the list for his own vigorous in Athiradeekaran machan… It sounds like a big party song with glamour. The song makes us to cymbal and legs dances automatically to the rocky beats. Sayanora was so hot in her voice as well with Vaali’s lyrics, which proves he is still young. The Billa Ranga Basha thaan ivan pristal peasum beasha thaan was superb to remember his old hits. Vaaji Vaaji Vaaji… songs starts with Jean’s adisyam tune. Rahman uses variety styles and Madhushree loot our hearts by her pleasant voice; I could sense the happiness when she sings Vaaji Vaaji Shivaji…. The Sahana… song was a very beautiful melody!! Its difficult to find what is beautiful in Sahana, its Vairamuthu’s lyrics or Chinmayee voice with Udit Narayanan’s or the music; or else may be the way shanker would be directing this song. A cool music like saral (drizzle). Another Sahara is very very soft and welfare to hearts. I never thought Vijay Yesudas would sing this excellently!! Flute sound was awesome… Gomathi Sree’s Thirupavai in the second half gives a classical format. Boss theme is a short rap with just funny lyrics and was not that powerful. Shanker always makes me wonder in the way of selection the places for songs and hold on the latest technology. I am very excite to see how the songs were comes out in screen. Have been feeling not well, this place was left with no post for five days. Last Sunday we were to drive-in restaurant and marina, it’s the starting point for the influenza. The water that I drank in the restaurant and travel in the traffic that was over that day in marina that moves slowly was infected me. The sign started that night and hair cut to showering next day all brought heavy coldness and feeling difficulty in respire. Been careless that’s normal cold and be fine after taking pill, I too was strain by exercise, walking and in typing work the day in feverish. Time to sleep and I was in conversation with mom about free hugging on Tuesday night, and were taking about balaji’s dream of Free Hug in ranganathan street. In the thoughts of free hugs I close my eyes, by mid-night I feel like chillness and needed to get warm. I waked dad to cover me with bed sheets and hold me tightly, even tough I was like uncontrolled and body was started shivering with a sense of tiredness. Mom was rubbing with amuthanjam in my foot and hands, I was tend to keep my head on mom, and she was tightly hugged my shoulders and neck; dad were pressing my foot as it has been chill, and shivering. It was surprise know to get much hugs from mom and dad that night, after discussing about hugs before leaving to sleep. I really feared more as I never feel like this anytime, my neck and legs were paining. There were thoughts of something said by some the cold fever would bring changed in the human nature. At that night by 12.30 my bro was sent to buy medicine in the nearest hospital for cold fever. Mom and dad were wake till 3am and pressing my legs as I was suffering with pain. I felt better only after taking the pills to make me sleep. For the last two days I was tired and feverish I never used to sleep in day times, but was pulled to do it. Dad was kindly advised to be away from works and PC, but now I feel better to post this.